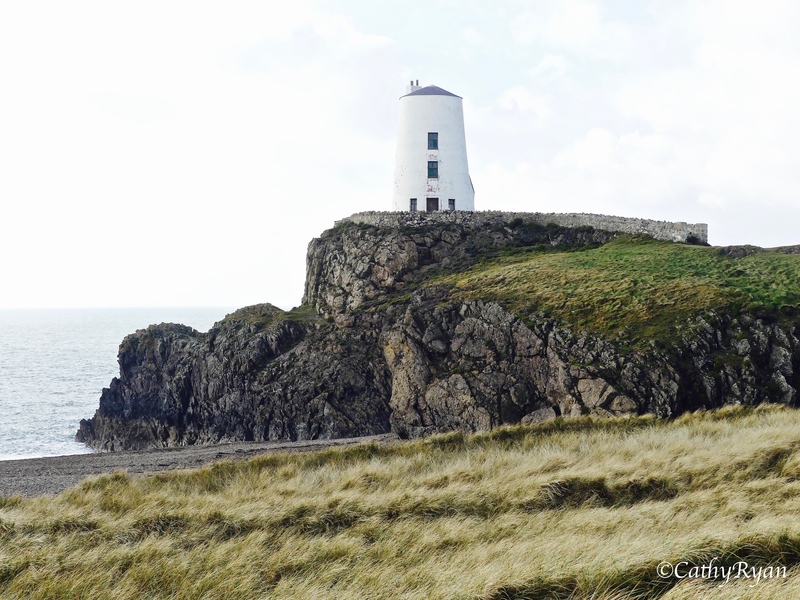 A completely different day in terms of light than the last time we visited Llanddwyn Island. So many changes in the course of a few hours. 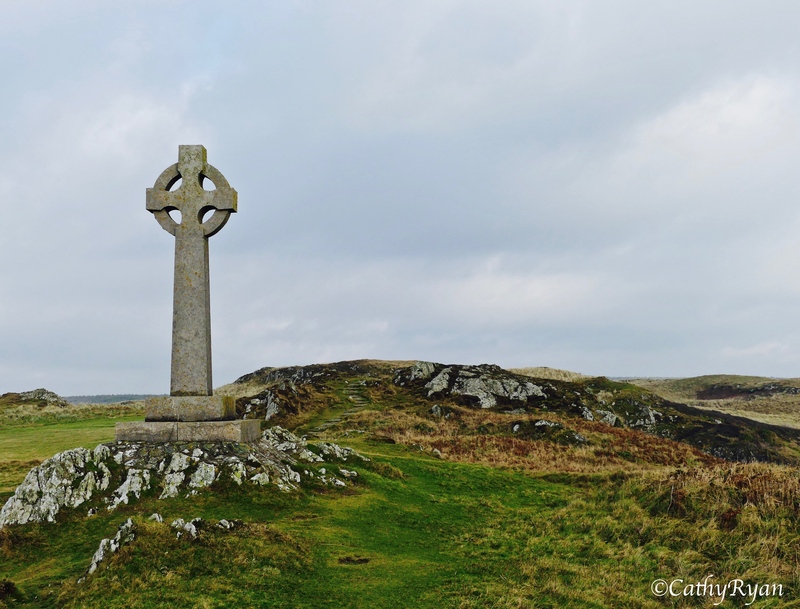 Llanddwyn translates to The Church of St Dwynwen. 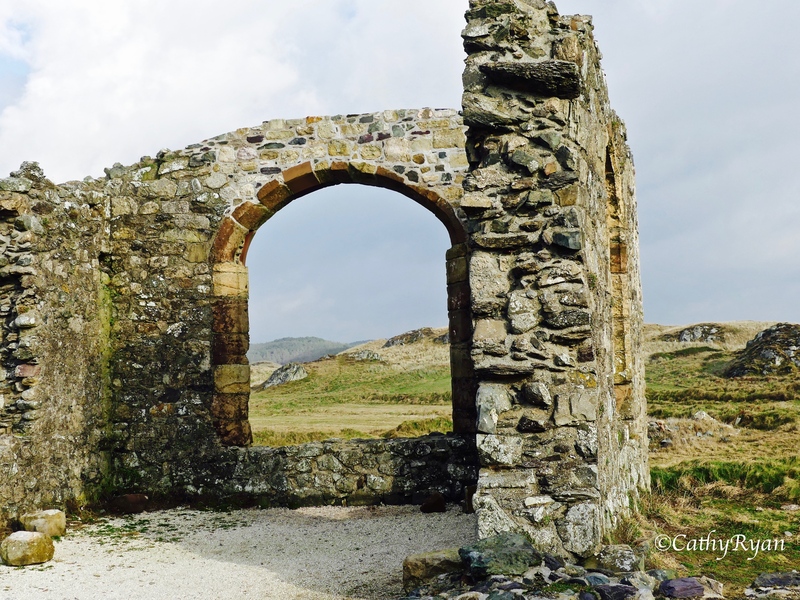 St Dwynwen is known as the patron saint of lovers, the Welsh equivalent of St Valentine, and her day is celebrated on January 25th. 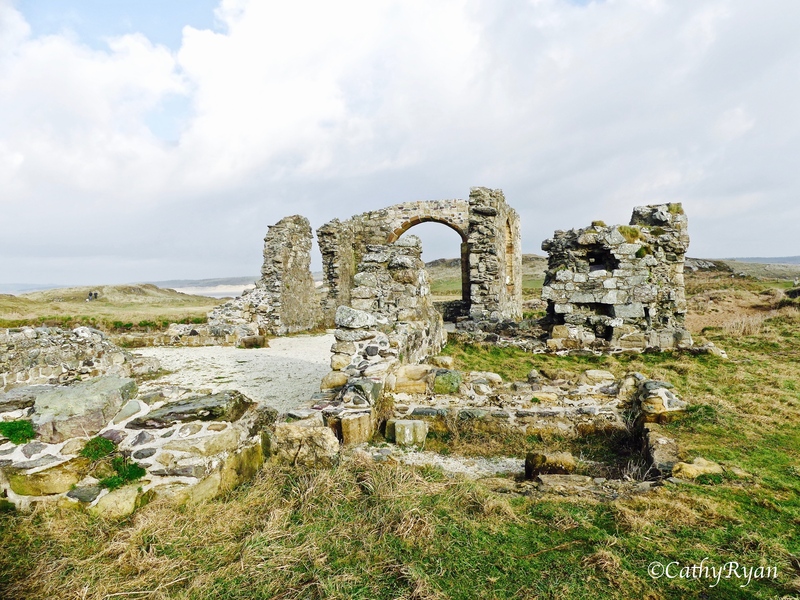 Dwynwen escaped to the island after her love affair with a young man named Maelon was brought to an end by her father, King Brychan, who wanted her to marry someone else. According to myth and legend, Dwynwen was visited by an angel who gave her a magic elixir that healed her heart but also turned Maelon into ice. She was also granted three wishes. She chose to have Maelon thawed, true lovers to be able to live their dreams and for herself never to wish to marry again. 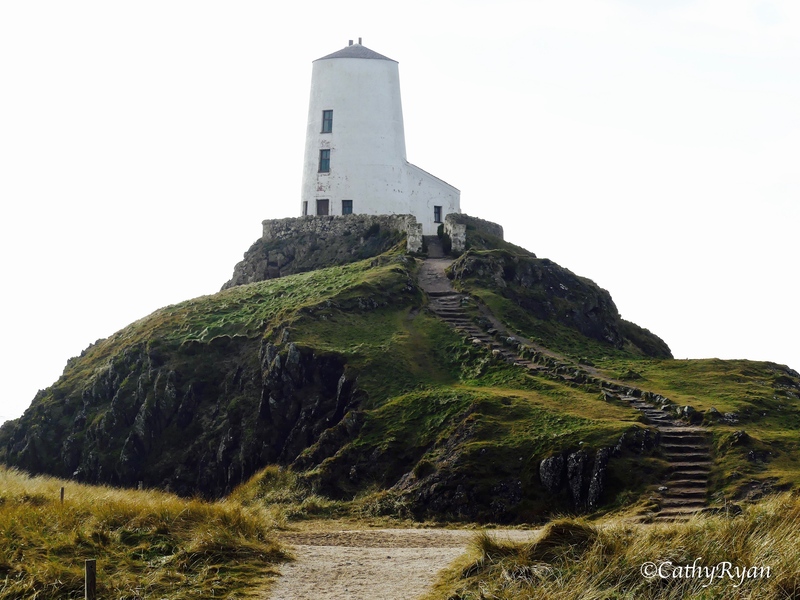 Until her death in 465AD she lived as a hermit on Llanddwyn Island. 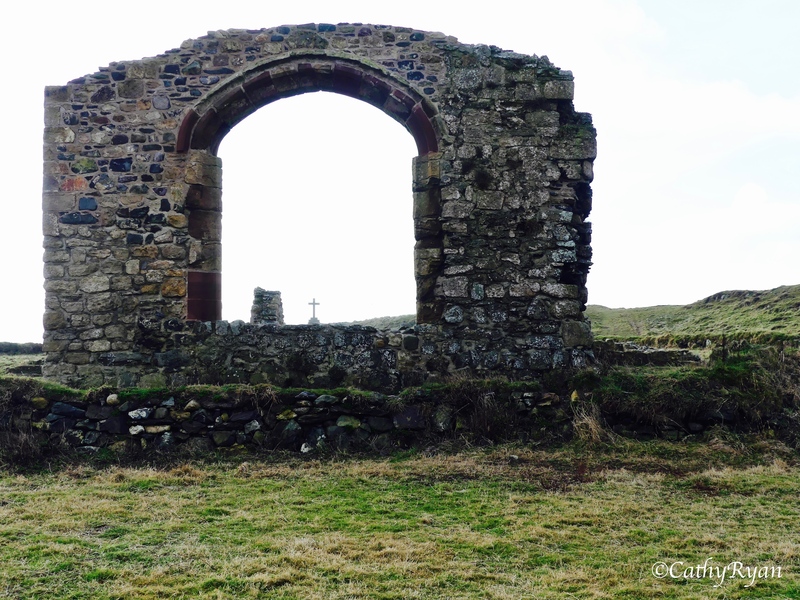 Pilgrimages were made to the church dedicated to St Dwynwen until Henry VIII’s split with the church put an end to them, and the church fell into ruin. Even today people leave love tokens and messages in the ruins. 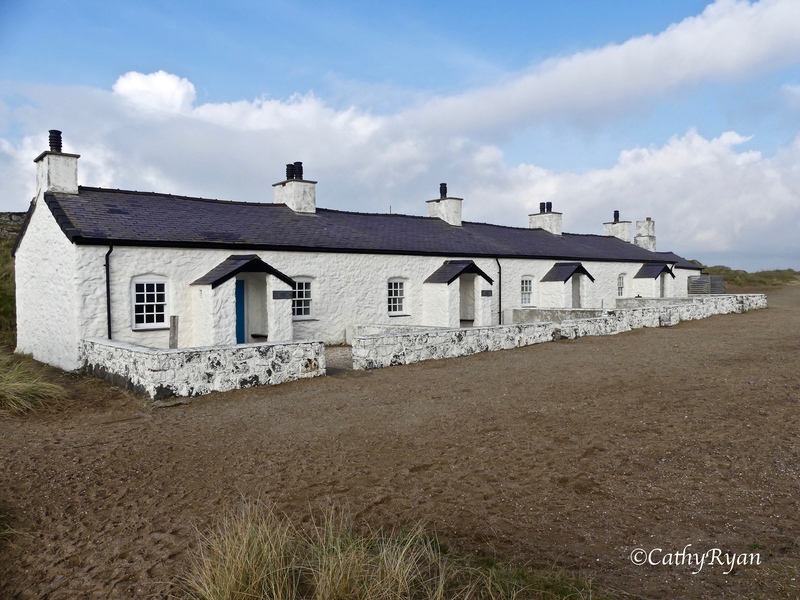 The row of small cottages housed the pilots who helped to navigate boats along the Menai Strait where the danger of sandbanks was ever present. The pilots also crewed the lifeboat until its retirement at the beginning of the 20th century. 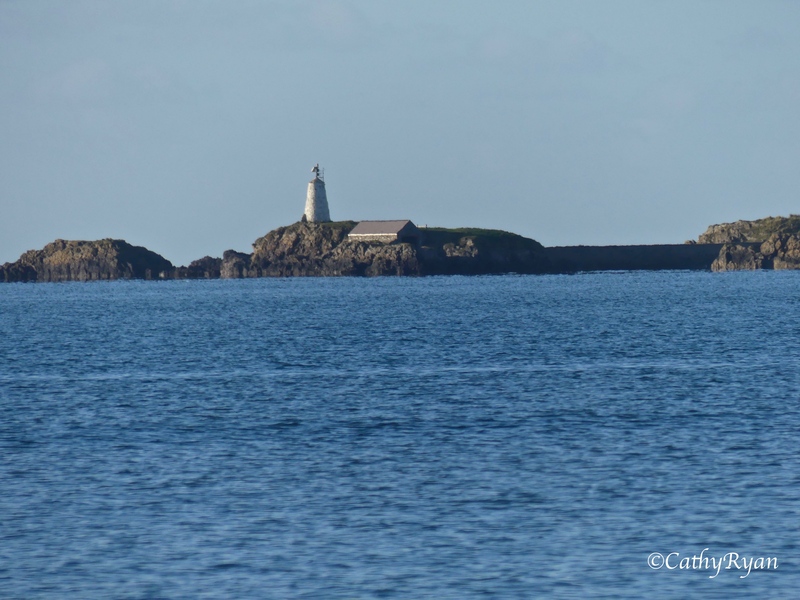 Twr Mawr (big tower) lighthouse is at the western entrance to the Menai Strait was in use from 1845 until 1976. Wow some stunning photos and i love the story. Such interesting stories behind these ruins. Loving the wrong man back then was not a good thing! I also love seeing the old lighthouses and the long stone walk up to this one looks like it could be a tough one during a storm! The stories that ruins hold! Incredible. Thanks so much 🙂 It’s well worth a visit if you get chance. Beautiful photography, Cathy. This is so interesting and with all that history behind the legend, I wonder if there are any books written, fiction or non-fiction, that draw on that history. 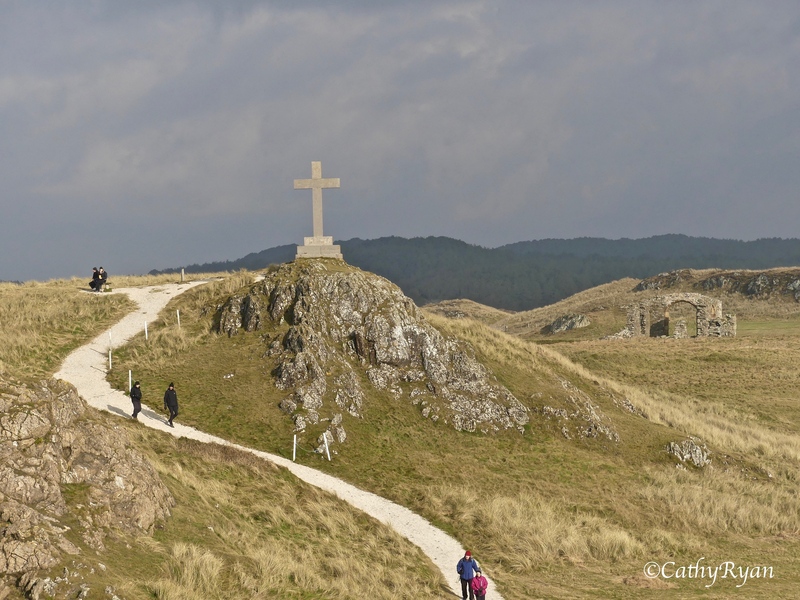 It seems a perfect locale for historic fiction, don’t you think? Absolutely. And the shipwreck part of the story actually happened. With a place like that though, almost anything is believable. Ah, thanks, Sarah 🙂 I’m so glad you enjoy them.